Diva Coffee Break Designs: Thank You From the Divas! Thank You From the Divas! As the excitement of the 2010 Holiday Season winds down, the Divas are taking a break to prepare for some fantastic new challenges for 2011. But we couldn't end the year without expressing our thanks all of you who have become a part of our community by taking on our weekly challenges. We have a small group, but it is growing, and we love each and every project that you send our way. We'll be back next week with a fun sketch challenge to start off the New Year! 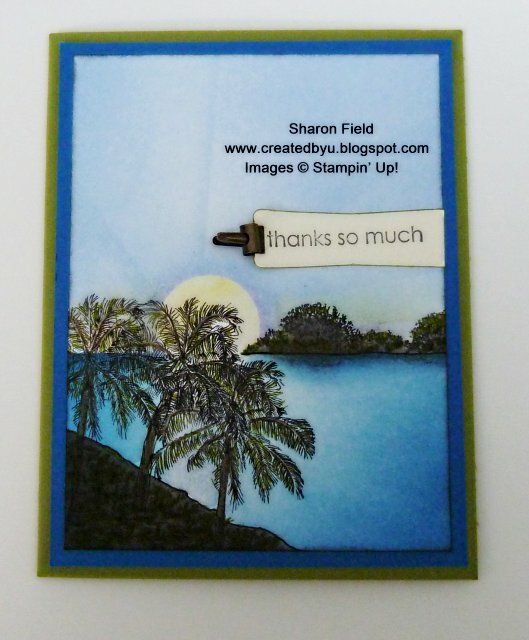 For now, a quick Thank You card using some of the newest Stampin' Up! products that will be featured beginning next week in the 2011 Occasions Mini Catalog. See you then! Great cards. Your Diva #209 is not showing on your blog.